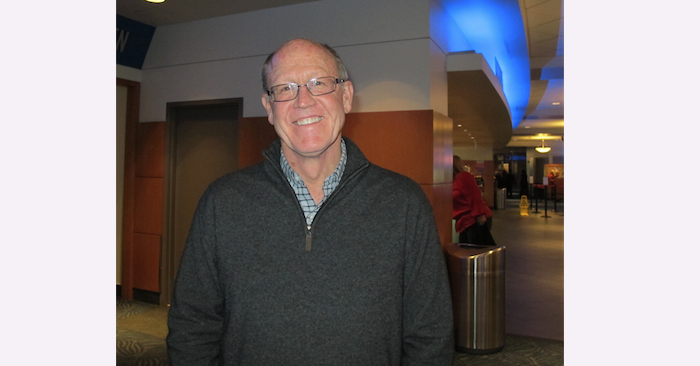 LOS ANGELES—One of Disney’s former foremost animators and a recipient of the Disney Legend award, Glen Keane, enjoyed Shen Yun Performing Arts at the Nokia Theater LA LIVE on March 22. 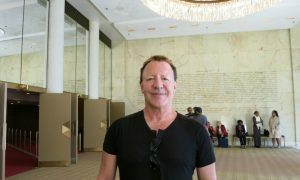 “I really enjoy being able to look at another culture’s dance, and see things from a perspective that I’m not used to,” he said about the performance. “It’s very pure and sweet. There is a childlike quality to it that I really, really enjoyed,” he said. Mr. Keane had worked as a character animator on feature films for Disney for 38 years, and was responsible for animating some of Disney’s most famous characters, such as Aladdin, the Beast from Beauty and the Beast, and Ariel from The Little Mermaid. He was also the executive producer of Tangled. 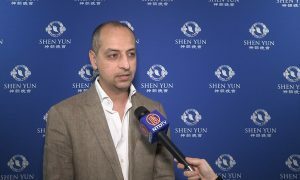 Shen Yun is on a mission to restore China’s traditional culture, and uses Chinese dance and music to bring to life stories from China’s 5,000 years of history, from the ancient past to today. 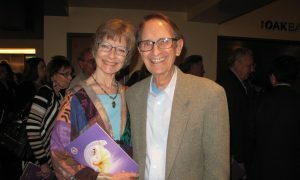 “A Shen Yun performance features the world’s foremost classically trained dancers, a unique orchestra blending East and West, and dazzling animated backdrops—together creating one spectacular performance,” explains the Shen Yun website. 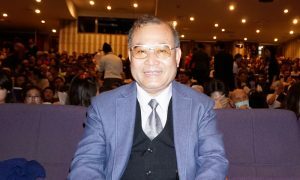 China’s culture is thought to be divinely imparted, and thus spirituality plays an important role, which Mr. Keane saw in Shen Yun. 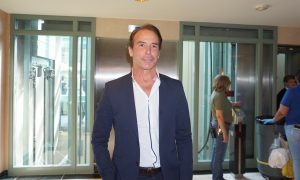 “I think it’s very spiritual and beautiful and seeking our creator and I found that refreshing and wonderful,” he said. Shari Rose, a Middle Eastern dancer, was also one of those enamored with Shen Yun on Saturday. “It is visually stunning, very extraordinary, and truly a fulfillment of a dream to be here this evening,” she said. 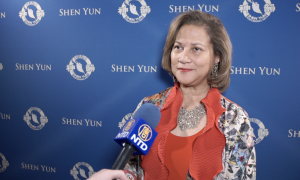 Classical Chinese dance is the foundation of a Shen Yun performance, and the art form goes back for millennia. “Classical Chinese dance has helped preserve 5,000 years of Chinese culture. Built on traditional aesthetics, it was once passed down among the people, in imperial courts, and through ancient plays. 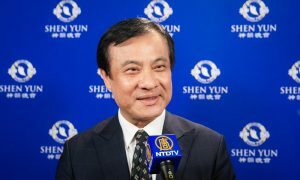 Over thousands of years, it was constantly refined, eventually developing into the vast and distinctly Chinese dance form we know today,” explains the Shen Yun website. She was drawn to the dances with women, some using props such as long silk sleeves or fans. “As a dancer, I’m biased to the very feminine dances—the extended sleeves and beautiful use of costuming,” she said.